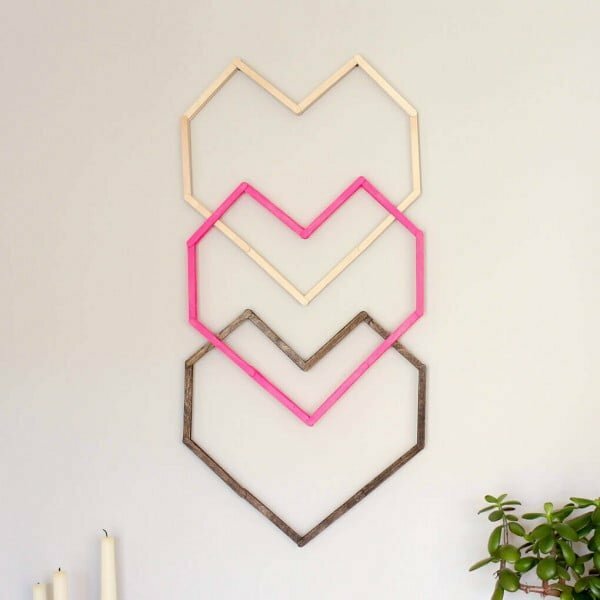 Make amazing DIY wall art with popsicle sticks. Here are 17 amazing creative ideas to inspire you. 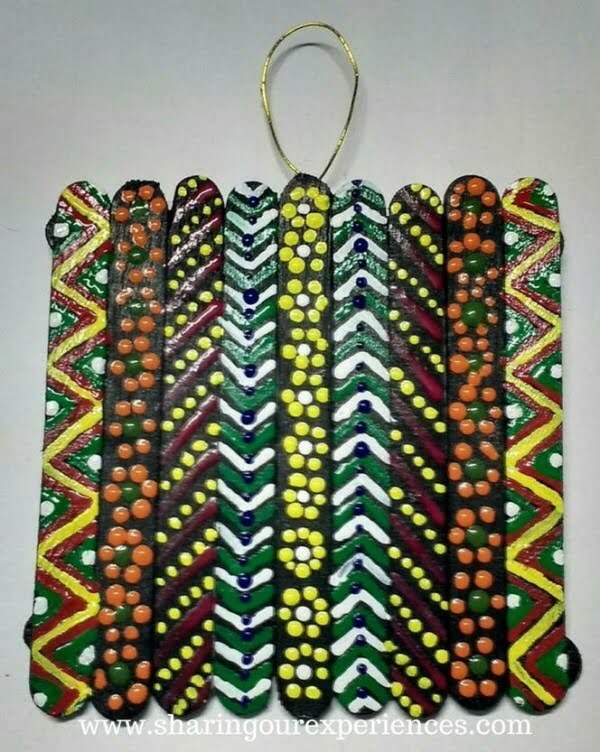 When we’re looking for unique wall decor, handmade art made from repurposed materials is among the top choices. It makes unique and cozy wall art that gives your home character. 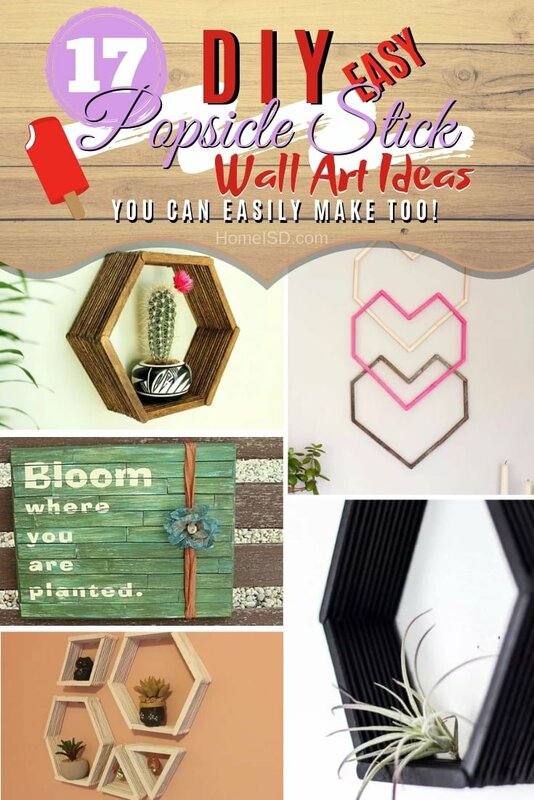 From fashionable geometric art to wall shelves and hangings – you can make it all with good old popsicle sticks. Check out these 17 creative ideas for inspiration. 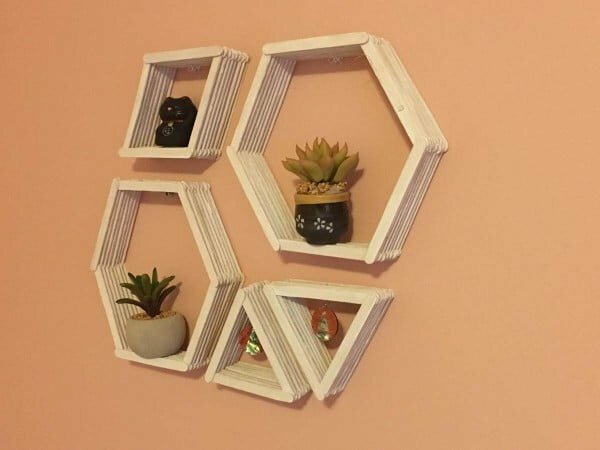 Make these DIY hexagon shelves using popsicle sticks for some simple honeycomb decor. 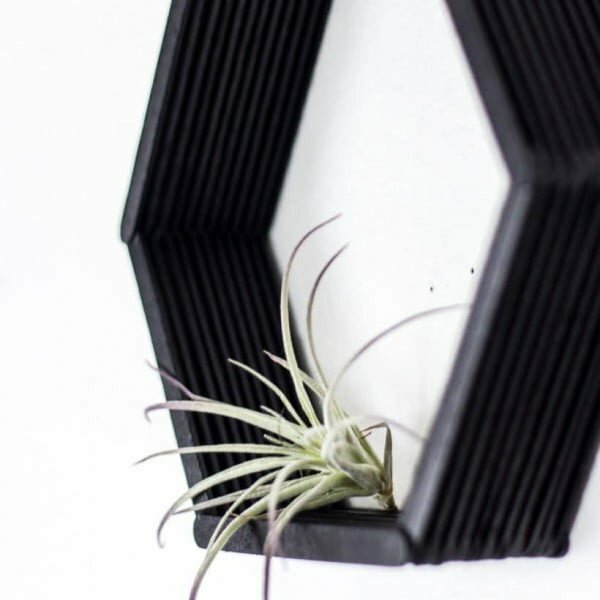 This budget-friendly home decor is so simple and looks great on your wall. Follow the tutorial to get the entire plans and instructions. 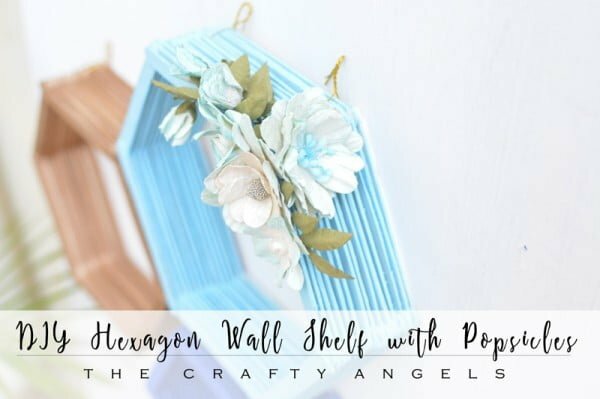 Make this making hexagon wall shelf with popsicles on a budget. Read the article to find out how it’s done. This is an extremely easy DIY. Geometric patterns are trendy right now, and these simple shelves will attract the attention of your guests. Follow the tutorial to find out how it’s done. Learn how to make ice cream stick wall hanging craft. Read the link for the complete guidance. 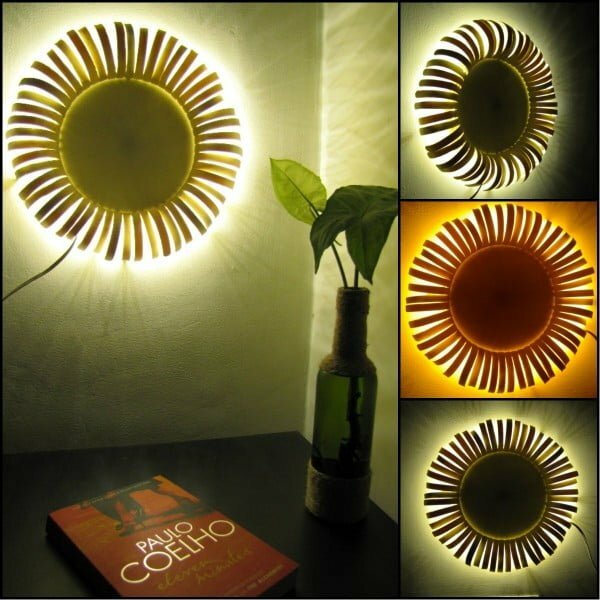 This is a fantastic sunflower wall sconce made of popsicle sticks you can also make the easy way. Check out the link to see the complete guidance and instructions. 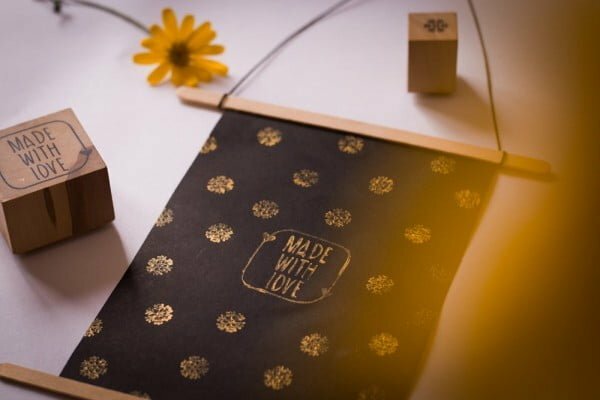 You don’t need much money to create beautiful home decor. 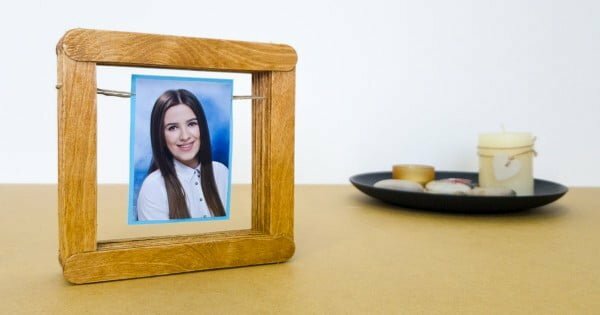 I had some Popsicle sticks at home, so I decided to create an original picture frame. See the link to see the full details and instructions. 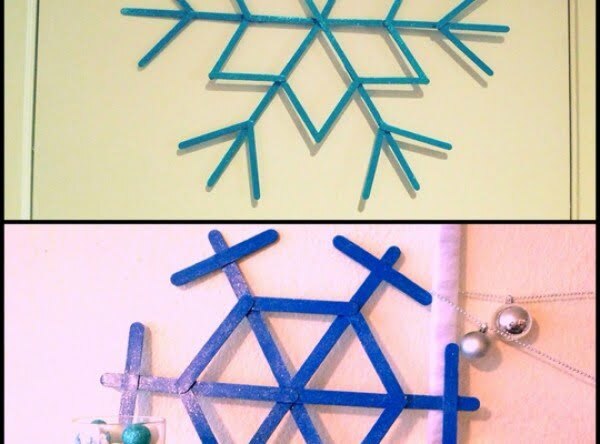 Step-by-step how to make DIY snowflake wall art using Popsicle sticks. Follow the article for the complete guidance. Get ready for the next season. 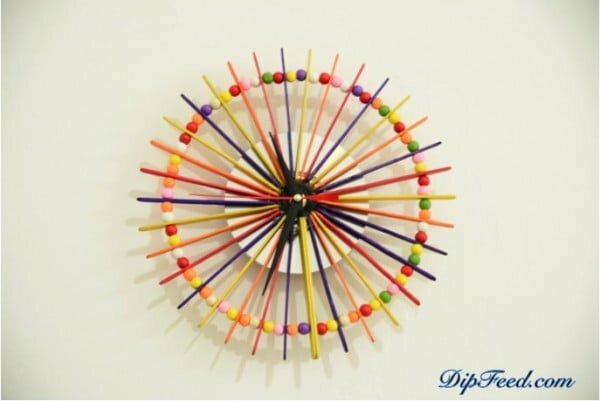 Try making this unique wall clock from popsicle sticks and beads the easy way. Check out the link for the full details and instructions. 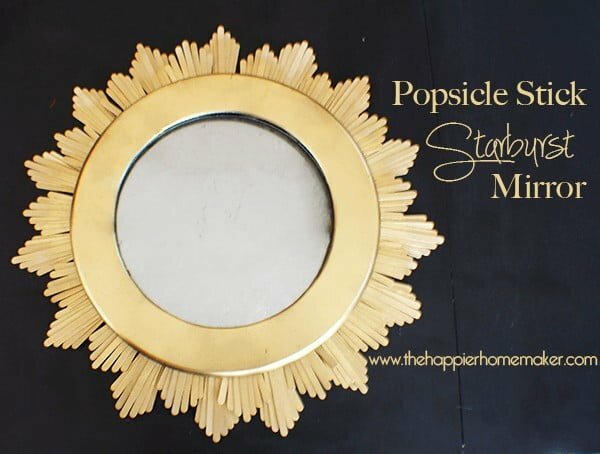 This is a terrific DIY popsicle stick starburst mirror you can replicate the easy way. See the link to see how it’s done. Shows how to make 2 different snowflake patterns. If you’re an avid crafter this will most likely be free to make. Check out the link to see how it’s done. 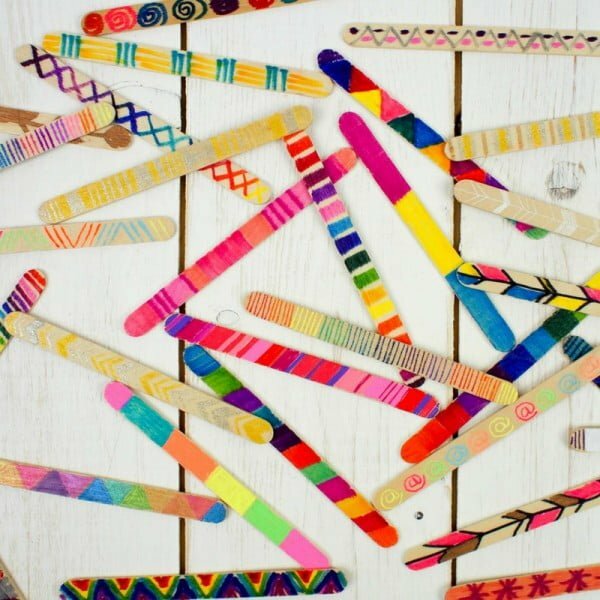 This craft stick wall hanging is a super fun, collaborative art project or perfect for making over some time. A great craft for your kids. See the tutorial to learn how to do it. 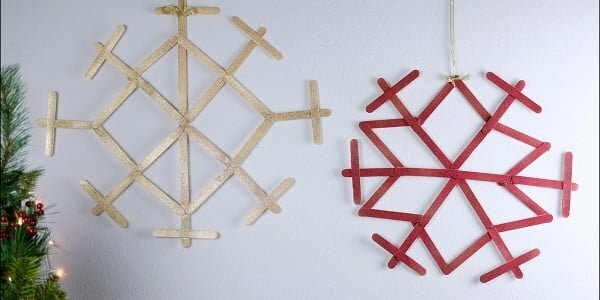 Popsicle Sticks DIY wall hanging made of the coffee stirrers and cardstock is a fun and easy stamping project that is super cheap but gold looking wall decor. Check out the link to learn how it’s done. Here’s a fun popsicle stick DIY for you. 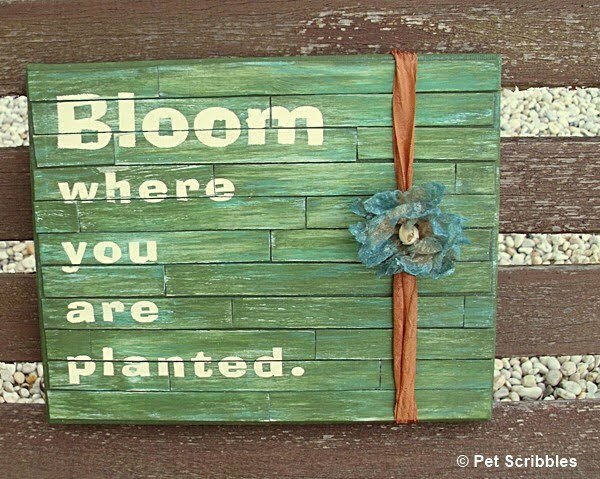 Make pallet art. Popsicle sticks work great, and you can make smaller-sized pallet art too. See the tutorial for the entire plans and instructions. This graphic, modern DIY wall art idea is perfect for a hip nursery, bedroom or as a wedding or Valentine’s Day decor. Make it for $5. See this website to get the complete guidance and template. 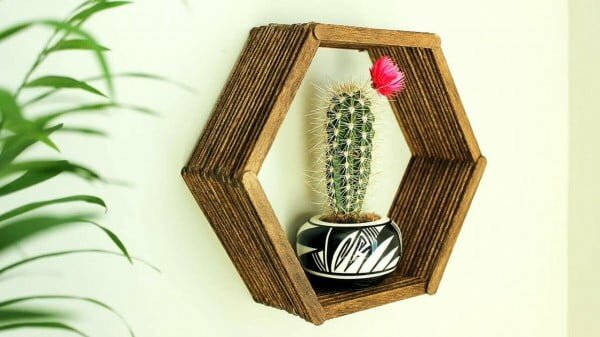 Add some mid-century charm to your gallery wall with this DIY hexagon shelf made from none other than the good old popsicle stick. See this website to see how to do it. 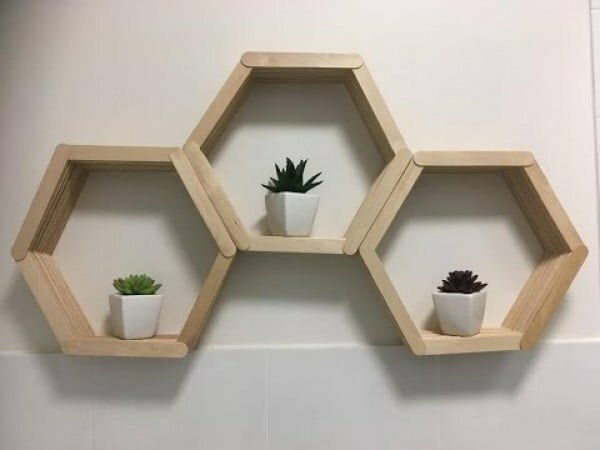 Use popsicle sticks and glue to create stunning mid-century modern honeycomb shelves. No one will guess they’re made of popsicle sticks. Read the tutorial to learn how to do it. 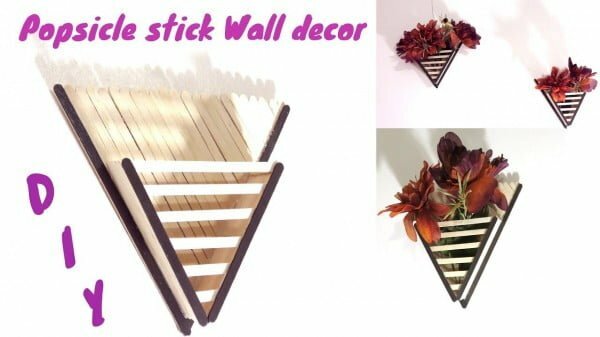 This is a beautiful idea on how to make popsicle stick wall decor on a budget. Follow the link for the full plans and instructions.